Tatra began as a Czechoslovakian car maker in1922 and has been one of the largest auto makers behind the Iron Curtain. You can find additional history and a display of Tatra automobiles inside the museum. 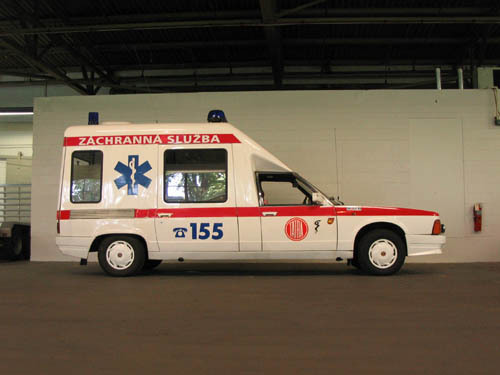 The T-613 was introduced in 1969 as a luxury automobile but it was available also as an ambulance. 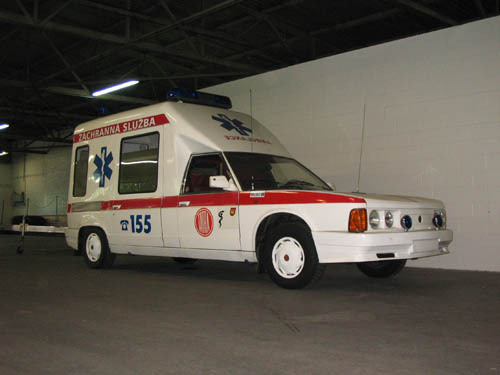 In ambulance form, it came with a carbureted motor, since the fuel-injected version was too tall to fit under the rear area where the stretcher is located. 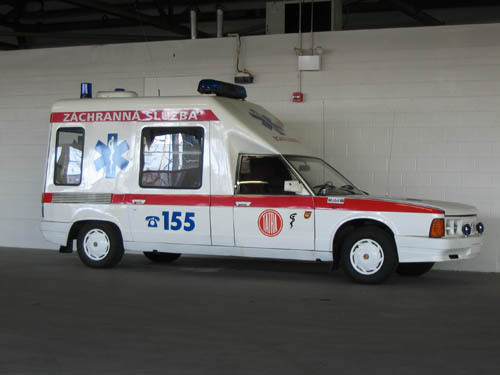 The ambulance cab is equipped with flashing lights, siren, and a public announcement system. The back is outfitted with a rollout stretcher, a seat for the medical attendant, and cabinets on the walls to store medical equipment. 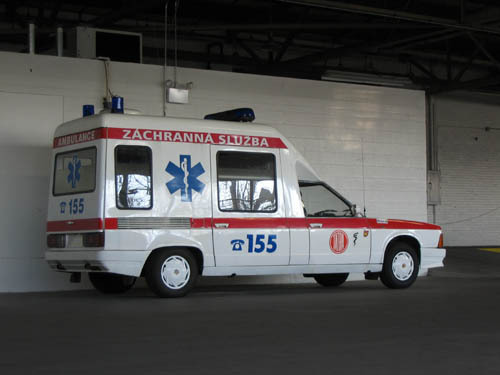 The number “155" on the side is similar to our "911" and “Záchranná Sluzba” means "ambulance".